Hey! 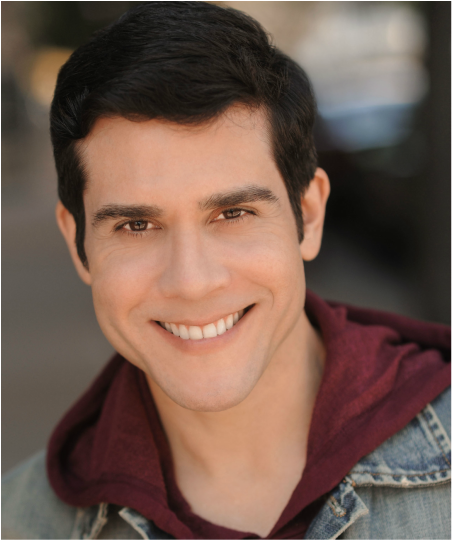 I'm a New York based actor; born and raised in San Sebastian, Puerto Rico; a beautiful "small" town in the rural North Western part of the island. Back in the days it was a town with an economy based on sugar cane, cattle and some factories too; as we say, I'm a true and proud "jíbaro". Hopeful that the economy gets better soon in my beautiful country because the talent and resources are amazing. Since I was a little boy I always liked to study and learn new things which I still love up to these days. I'm always reading some new self improvement article, book or taking a new class so I can further my skills and knowledge. A nerd!? Well, in school I was attracted to all subjects especially math, languages and loved class participation. I'm competitive and despite my nerdyness I've always loved expressing myself physically through movement, singing out loud and through language in general. My first taste of theater and arts was in elementary school; I went to a Catholic School-Colegio San José in Lares; around five or six I was cast to participate in a school parade as one of Snow White's dwarfs but unfortunately I didn't show up because I had a doctor's appointment but mainly because I didn't remember to tell my mom what day exactly was the parade going to take place!?! So they were actually 6 dwarfs in the parade because of me for not knowing which day of the week was it going to take place! Sorry Snow White!! Then I was cast as Jesus the little boy in the scene where He speaks to the wise men in the temple and I cracked up onstage with my scene partner for like a nice 10-15 seconds (which actually felt like an hour) and it was such a real moment and we had a great audience response which after the embarrassment I loved it and made me think hmm... I love the attention this is giving me. Therefore all through school levels I participated in many occasions in plays acting, singing, and in dancing celebrations which with no real dance training I even choreographed some times. I'm also very attracted to the theme of justice and fairness in general which is hard to manage sometimes because I would like to please everybody. at The Esper Studio with Mr. William Esper. Commercial Technique with David Cady (Donna De Seta Casting); Lucid Body and classical text with Fay Simpson and Joe Siravo, Shakespeare with Ian Hersey; and "On Camera" Technique with Mr. John Swain, Ted Slubersky and Scott Freeman, Charles Carrol and Tony Plana, Tim Phillips. Voice with Sabrina Lastman and Dan Manjovi. My dance training: Ballets de San Juan company member and as a scholar in Ballet Concierto, Bailos jazz company. Intense workshop with NYU-Tisch School of the Arts and Alvin Ailey American Dance School. Through my career as a dancer I performed in many shows/tours with recording stars mainly in the Latin market but also musicals in my native Puerto Rico, Dominican Republic, Mexico and also in the US. I have a Certificate Degree in Legal & Medical Translation and Interpretation Spanish<>English at Hunter College (City University of New York); CUNY's The Helena Rubinstein Scholarship and was also granted The Career Transition for Dancers Grant. I have also worked as a Spanish translator for "8", the play by Dustin Lance Black, based on the legal and civil rights repercussions of Gay Marriage in the state of California. I'm fully Bilingual with some Proficiency in French and an overall ease for languages and dialects.